28th September 2009 CARRIAGEWAY RESURFACING – COPPICE ROW, THEYDON BOIS. Essex County Council intends to undertake carriageway resurfacing to a section of Coppice Row, Theydon Bois. During these works it will be necessary to close the road. The section to be closed is from Piercing Hill to the Wake Arms Roundabout with works undertaken on the carriageway from near the junction with Sidney Road to 500m west. The closure will commence on Thursday 1st October for up to 2 nights between 1900hrs and 0700hrs. In order to maintain continuity of works parking restrictions will be in place and will prohibit parking between 1900hrs and 0700hrs each day and this may be enforced. We will endeavour to maintain access to properties/premises however, there will be prolonged periods were access will be prohibited. This is to allow a curing period for the road surfacing materials. Marshals will be located at main junctions and will be able to assist residents in reaching destinations within the works area. I apologise for any inconvenience and disturbance these works may cause and would like to thank you for your co-operation in ensuring the completion of these essential works. If you should require any further information please contact Ian Guntrip at this office. Megan Salter from Theydon and her friend Sara Harrak who resides in Chigwell decided to make a short film together. Both 19, on their gap years and both are extremely interested in going into the film industry. For this reason they set up their own film production company called Real Hark Productions, with the intention of using talented youth to create the future of film. Megan says "We aimed for our film to incorporate everyone from gifted actors, to musicians, to editors and crew. Sara directed the film and I took the lead role of 'Sophie' in the film". Megan continued "From the start we wanted to make this short film as professional as possible, so we applied to Essex County Council Youth Bank for funding. We were successful in our application, and received enough to be able to work with professional cameras". The film itself was shot during June (after months of pre-production) and was shot in and around Theydon Bois itself, using locations such as Megan's house, The Forest and Belgique. "You Will See Life" can be seen in full Here. be able to recycle using the new bins. St Clare Hospice is looking for adventurous people who like a challenge. 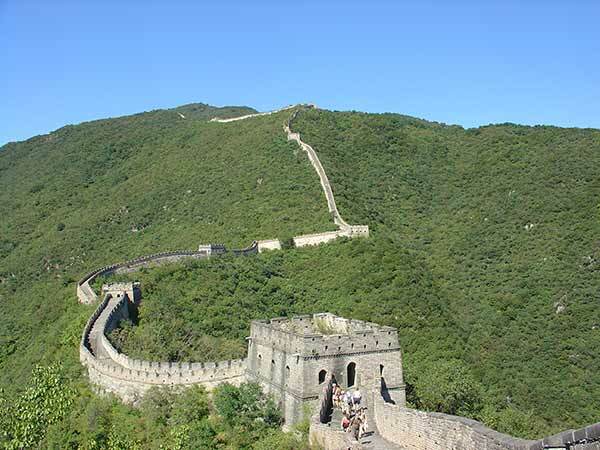 The charity is organising a sponsored trek on the Great Wall of China in September 2010 to help raise funds for people in its care. Sign up and discover a landscape steeped in over 2000 years of history, mythology and ancient traditions. Encounter sections of the Wall which date back to the Ming Dynasty, off the usual tourist trail. To join the Great Wall of China Trek you will need to pay a registration fee of £290 and then pledge to raise a minimum sponsorship target. In return your flights, food, accommodation, guides etc will be provided. All profits from the challenge will support the work of the hospice. The new Village Hall Bookings Manager – Stephen Middleton - (pictured left) - started work on the 20th July. This has always been a very busy function, and we wish Stephen well as he takes over this important role for the Village Association. Villagers will probably remember the East of England Plan of a few years back and the concerns over what effect extensive housing development (478,000 new homes in the East Anglia) would have on Theydon Bois and the surrounding countryside. Theydon Bois & District Rural Preservation Society were involved on the consultation process and submitted a detailed response to the proposals in March 2005. The final East of England Plan published in May 2008 contained a policy that requires EERA to commence an early focused review to be completed by 2011. The review requires the Plan to extend its coverage to 2031. For the review, EERA is testing the implications of a range of scenarios through a variety of models (e.g. Government's advice on housing, demography, economic, traffic, water supply) to assist in the development of options for the scale and distribution of growth up to 2031. Members of Theydon Bois & District Rural Preservation Society together with Parish Council Chairman, Sue Jones attended a consultation meeting about the 'East of England Plan > 2031 Scenarios for Housing and Economic Growth' in Chelmsford last night (3/09/09) and the related Plan document (it is a large document, with further related documents, but a ERRA has published a a useful starting guide). Epping Forest District does not come out too badly in most scenarios. An extra 3,200 homes between 2011 - 3031 (average 160 p/a) in scenarios 1 & 2, but Harlow would have to accommodate extensive growth in most scenarios that could effect our district also. Local Authorities have already made it clear that they do not believe it is possible to deliver on higher targets in scenarios 3 & 4. The final options will evolve from the first public consultation programme around a number of scenarios for future growth. The public consultation runs from 2 September 2009 to 5.00 p.m. 24 November 2009. TB&DRPS is at present reviewing all the scenarios in the plan to see what effect it could have on our village and our surrounding Green Belt. They will then make a response before the closing date. Interested villagers who made individual responses to the previous plan may also wish to respond to the present proposals before the 24th November closing date. The Draft East of England Plan will then be published in early 2010 followed by a further consultation in March 2010 and an "Examination in Public" in the Summer. You can register to make a response to the plan here. EFDC Local Development Framework Committee is due to meet on Thursday 10th September at 7.30pm at the Council Offices in Epping. This is a public meeting that villagers may want to attend, as there is a strong possibility that measured against 18 sustainability objectives in a supplementary agenda report, that at least one of the two identified sites in Theydon Bois will go forward. The Agenda for the Committee Meeting is here. The Draft Sustainability Appraisals and Strategic Environmental Report (SA/SEA) of all the sites selected for the Consultation on Options: Development Plan Provision for Gypsies and Travellers in Epping Forest District, that has just been published by EFDC and will be debated at this meeting this a detailed 92 page supplement to the meeting agenda and you can view it here. EFDC usually Webcast these meetings so if you can't attend you should be able to view it live or later from here. It is a requirement for local planning authorities when producing these documents to consider the wider social,environmental and economic effects; and how implementation of proposals set out by the documents may impact on existing and future conditions. The purpose of undertaking the SA/SEA at this stage of the process is to identify potential significant sustainability effects arising from the content of the Consultation on Options document. The outcome of this stage of the Appraisal is designed to assist the plan preparation process and, with the responses to the consultation, to inform future stages of the Gypsies and Travellers Development Plan Document (DPD). The DPD will be subject to additional appraisal before adoption, to take account of proposals and amendments that may arise from the consultation and this SA/SEA. As noted above it is very likely at this stage that at least one of the sites selected for Theydon Bois (20b or 20c) will go forward. 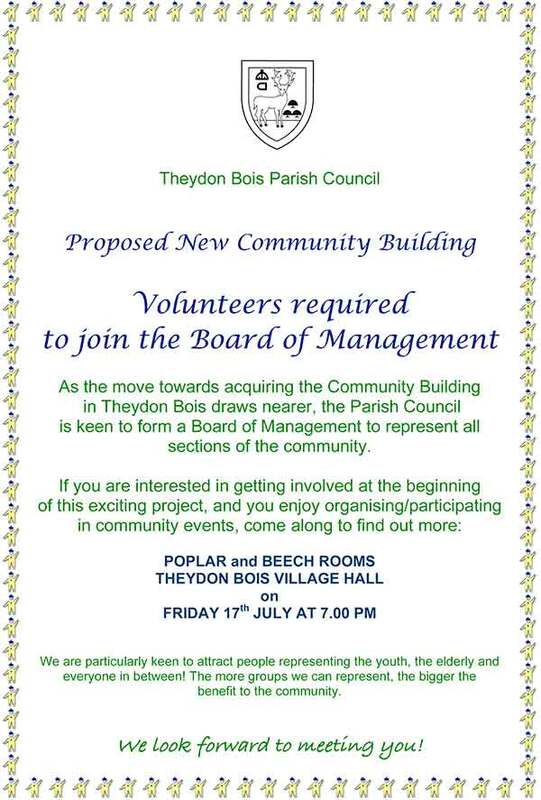 Theydon Bois Parish Council, Theydon Bois & District Rural Preservation Society (TB&DRPS),Theydon Bois Action Group (TBAG) South Theydon Bois Action Group and over 700 individual villagers objected the possible selection of the sites in Theydon Bois in the first stage of the consultation. There is more information on the Parish Council Gypsies & Travellers page and the TBAG Website. Just to let everyone know the City of London Open Spaces Department will be undertaking ditch cleaning on the south side of the green, and along the side of The Green to the pond. This work will require the removal of some vegetation to access the ditch. This work is due to start w/c 7th September 09. Our Poppy Appeal Organizer has moved from the village and we cannot find a replacement. We will therefore not be able to undertake our usual door to door collection this year. Would you please buy your poppy from any of the shops who will have collection boxes and poppies on their counters. We are sorry about this and thank you for your generosity. 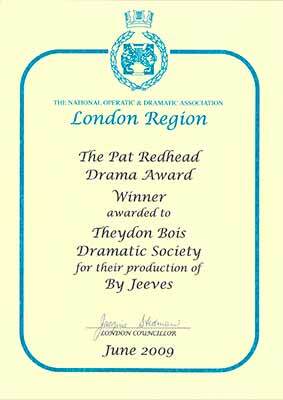 3rd September 2009 Theydon Bois Drama Society Award and Next Play: The Society were presented with the Pat Redhead Drama Award (London Region) in June for their show in January 2009 ‘By Jeeves’, by NODA (National Operatic and Dramatic Association) and received a plaque and certificate. 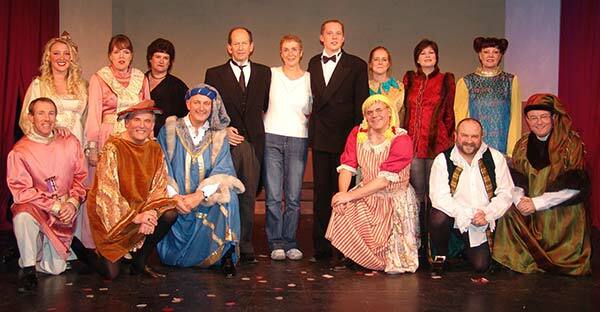 Photo of the cast with Director (Jan Freeman). The Society's next show is in October – the 29th -31st. It is called ‘Tartuffe’ by Moliere. 3rd September 2009 The Theydon Bois Folk, Country and Barn Dance Club latest season starts on 15th September 2009 at 7.30pm in the Village Hall and runs on Tuesdays until 22nd June 2010. At the moment the club is flourishing....strictly come dancing has inspired a lot of interest! Also the gentle activity is good for your health. We've expanded our repertoire as the dancers have become more proficient, but it's easy to learn and new comers would be very welcome. You don't even need a partner, just a sense of humour. Full 2009 - 2010 Programme here. On Tuesday nights why don’t you come? Country Dancing restarts on 15th September 2009 at 7.30pm at the Village Hall – All welcome! 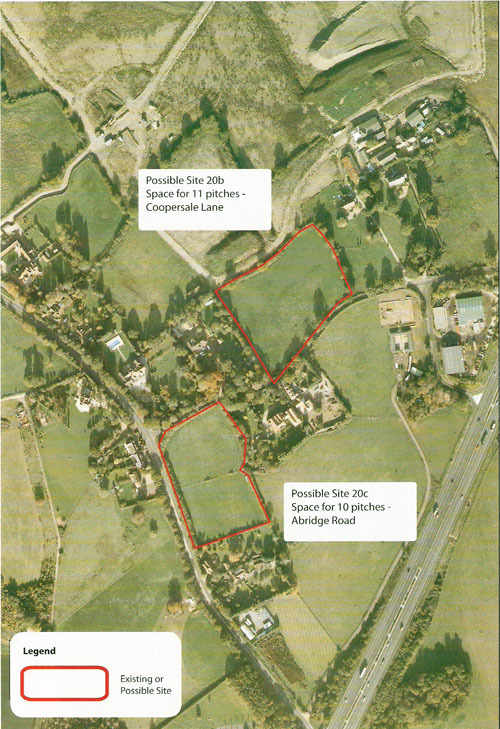 The work of the Parish Council continues and paramount in many of our minds at the moment are the continuing efforts to purchase the site of the Youth Centre in Loughton Lane including the ground that the Scout Hut is built on. In the June issue of Village News the Parish Council sought your opinion about the potential purchase. We also held a public meeting in June, solely to discuss the issue surrounding the development, with the old Youth Centre being open the following morning for anyone who wanted to come and have a look around. During the consultation and meetings we did not receive a single objection and it was clear we have residents’ support in continuing our efforts to purchase the site. The purchase and the renovations of the building will not only involve a Public Works Loan but also a tremendous amount of hard work. It has been very reassuring that already several people have come forward with offers of practical assistance. As we have said before the Parish Council see this as an exciting opportunity to develop a facility that can be used by many different groups in our village. If anyone is interested in being involved in the refurbishment of the Centre, or its management please do not hesitate to contact us at the Parish Office. We have welcomed two new coaches to the coaching team this year: long-standing member Simon Terrell and Gemma Wiggs have brought their experience and knowledge to Friday and Saturday coaching throughout the summer. The West Essex prostrate Cancer Self Help Group is a group for men with prostrate cancer who live in the West Essex Primary Trust Care area which includes Theydon Bois. Full details of the Group’s activities can be found at www.proative.me.uk. Alternatively if you are concerned about possible symptoms you can e-mail proactivegroup@ntlworld.com or telephone 0774 7374692. Bring your own drinks & buffet. 27th August 2009 Parish Council Meeting: Please note that the General Business Meeting of the Parish Council for Thursday 13th August that was cancelled will now take place on 27th August at 8.00pm. For the full list of future meetings see the Parish Council Meetings page. Cllr. 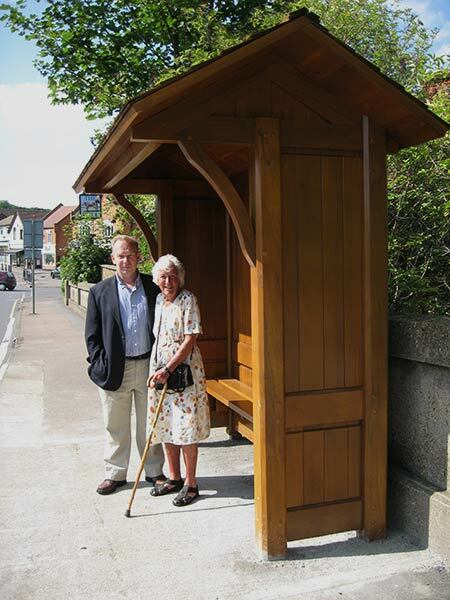 Anthony Purkiss & Shelia Gymer in the new bus shelter. So no more standing in an icy blast. And with our pass it’s free to go. Through sun or rain or even snow! Do you know this? Have you heard that? For taking the time to see it through!! 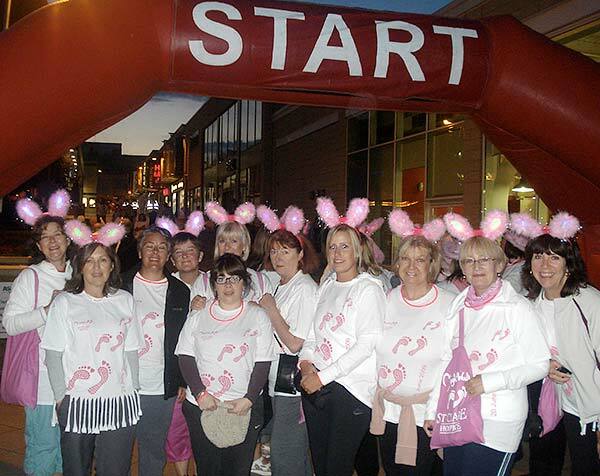 Theydon Girls were the highest fundraising group for the 2009 Midnight Walk organised by St. Clares Hospice and won the team prize of 6 bottle of pink champagne!! With all the donations, registration fees and sponsorship they collected, they raised over £3,100. The Girls again wish to thank everyone so much for their support that made this possible. 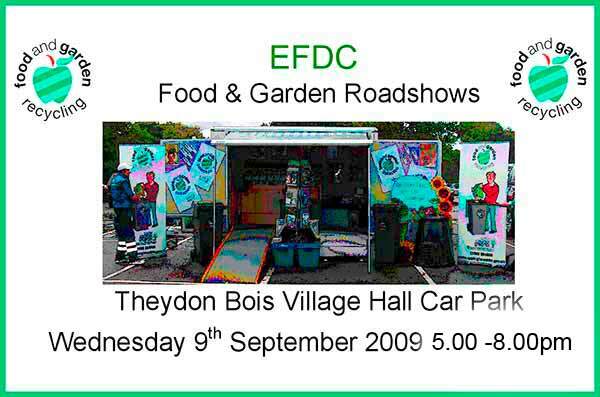 27th August 2009 Mobile Library Service Visits: The mobile Library Service will visit Theydon Bois on the following Wednesdays & Thursdays from September to December 2009. Wednesdays (9.20am - 10.20am Village Hall): Sept. 9th, 23rd Oct. 7th, 21st Nov. 4th, 18th Dec. 2nd, 16th, 30th. Thursdays (13.45 - 15.45 Village Hall. 15.50 - 16.20 Robert Daniels Court) Sept. 10th, 24th Oct. 8th, 22nd Nov. 5th, 19th Dec. 3rd, 17th, 31st. Our branches are in Loughton, Epping and Waltham Abbey. and kitchen caddy will start week commencing 3rd August. received at exactly the same time. be sooner or later depending on the speed of distribution. 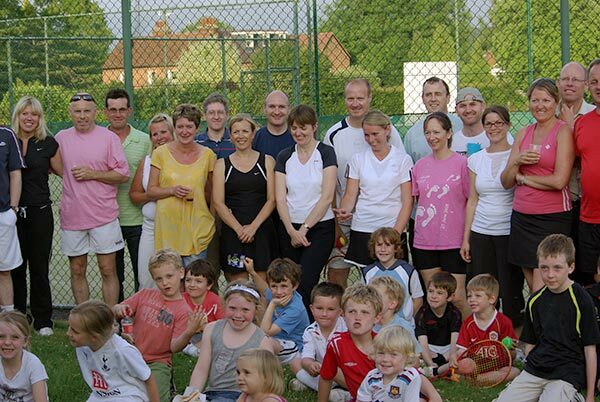 Theydon Bois Tennis Club held their first 'Parent & Child' mini tennis tournament in July. 18 pairs entered the competition, held on a lovely summer evening. June & Les Snellin ran the event superbly, and everyone had great fun with lots of doubles matches for all. The photograph shows some of the participants. The Tennis Club also ran two successful junior coaching courses in the summer holidays, with 30 children attending each, and will be running another course in October half-term. Details will be posted on the club website www.theydontennis.co.uk when they have been confirmed. Every year Trevor Roberts the Local History Recorder for Theydon Bois produces a Chronicle of events and stories which have taken place in the village in the preceding year. These form a valuable local history record and Theydon Bois Parish Council has presented a set to the Epping Forest District Museum in Waltham Abbey for inclusion in the Museum’s Local History Archive. 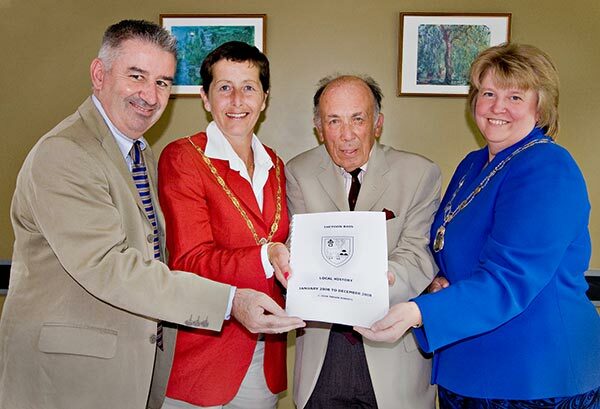 The Local History Reports were presented to Councillor Penny Smith (left) , the Chairman of Epping Forest District Council by Theydon Bois Parish Chairman, Councillor Susan Jones (right). Also in the photo are (left) Tony O'Conner of Epping Forest District Museum and (centre) Trevor. 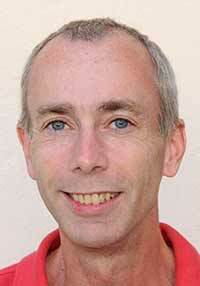 Trevor Roberts has lived in Theydon Bois since 1995 and is a long standing member of many of the Community and Heritage organisations in the District. The volumes cover the period from 1996 to the present and further volumes will be presented to the Museum on an annual basis. The Essex Local History Recording scheme has been in existence since 1981, the aim being to capture contemporary historical data at a local level and so create a record for future generations. You can of course also read Trevor's "The Month in Theydon" which has reports on Theydon back as far as November 2002 here on this web site. 3rd September 2009 EFDC now also have an article about this on their Web Site here. 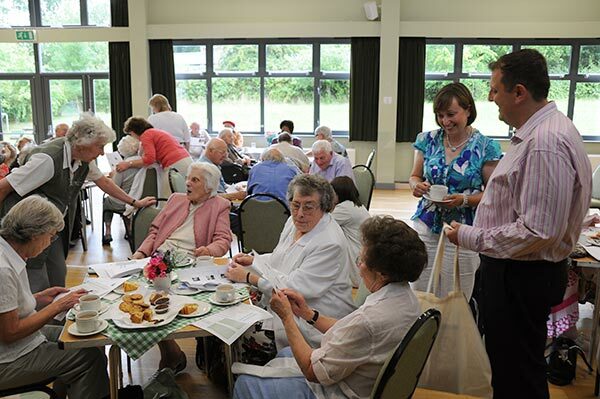 The Parish Council is delighted to announce that the Elderly Tea Party held on Friday 24th July was a resounding success. It was well attended by around 25 elderly and not so mobile villagers and their carers and they all had a fantastic time. They enjoyed home baked cakes by Cllrs. Berry, Jones and Sowerby and refreshments, as well as joining in our ‘Name that Face’ quiz, courtesy of Councillor Mike Emmett. Sally Crone, Eleanor Dodman and Liz Emmett also contributed to the success of the event. The afternoon was also supported by Voluntary Action Epping Forest. Mr Patrick Arnold, Assistant Chief Officer, Mrs Julie Bristow, Befriending Project Co-ordinator and Mrs Chris McEwen Mow and Grow Gardening Project Administrator explained in detail about some of the support services offered to people in the community – from gardening, to security, to friendship services. Elderly residents are very keen to utilise the services of the Mow and Grow Gardening project and consequently volunteers are always welcome, please call VAEF on 01992 564592 if you can help. At the end of the afternoon, we asked our guests to complete our questionnaire. The results were very positive – and they would definitely like us to run a similar event in the future. Our next ‘Tea Party’ will be on 20th November at the Village Hall from 3-5pm. If you would like to come and have tea with us please call Sally or Greville at the Parish Office, 01992813442 to book your place and a space on the bus if you need a lift to the Village Hall. 7th August 2009 Theydon Bois Music Societys New Season: The Music Society have announnced their 2009/10 Season of Concerts. Concerts start at 8pm on the second Thursday of the month and a subscription for the whole season costs £45. More details on the Society and membership here. Sept. 10th Duo - Violin & Piano. Oct. 8th Rob Hunter - Piano & Ingelise Parsons - Soprano. Nov. 12th Amici Trio: Miriam Kramer - Violin, David Silkoff - Piano & Susan Cooper - Cello. Dec. 10th Rachel & Ken Bartles. Harp & Flute. Feb. No Concert this year. Mar. 11th Backman Trio: Marcus Andrews - Piano with Violin & Cello. April 15th Stankov Ensemble: Violin, Piano & Soprano. May 13th Richard Shaw - Piano & Hannah Marcinowich - Winds. Note that the Coffee Morning is on a Saturday at 10am. 7th August 2009 Theydon Bois Men’s Forum: Our autumn season of Men’s Forum starts on Wednesday 14th October, 2009. We have vacancies for new members and if you are free for a couple of hours on the second and fourth Wednesday of the months October to June then why not join us. 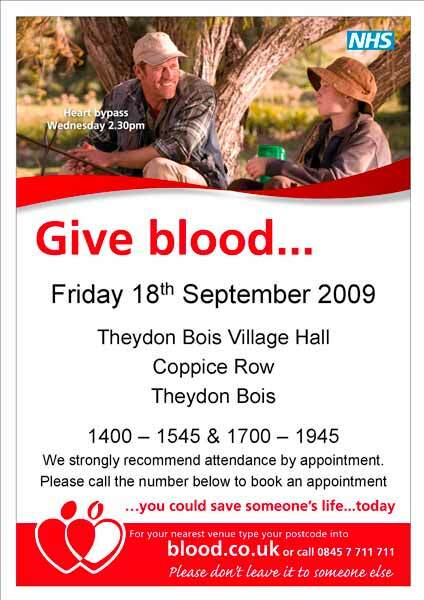 We meet at Theydon Bois Baptist Church (rear hall) at about 10.15 am and finish at 12 noon. Our selected and enjoyable talks given by invited guests take place in a very friendly atmosphere. If you would like to know more about the Men’s Forum then please give Harry Memory a call on 01992 812696 or see here. 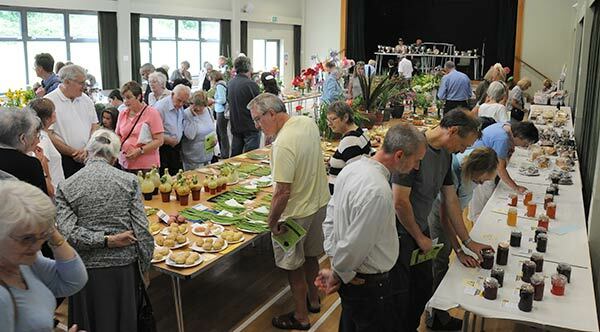 This year was special for Theydon Horticultural Society, as it was our 100th show, and my last one after many years as show secretary, so I was really pleased that the sun shone, the exhibitors staged high quality and unusual produce, the scarecrows looked fantastic but best of all we had many visitors. To see the wonderful Horticultural Show? Sheila in penning this rhyme particularly wanted to pay tribute to the efforts of Trish Haslehurst and Jane Turner who together with their colleagues on the committee of the Horticultural Society put so much effort into this annual event which was also of course the centenary celebration of the Horticultural Show in the village. This year, following inspection by the Horticultural Society of the 63 Gardens selected by the Parish Councillors, 24 were short-listed for judging, one of which was withdrawn by the owners. 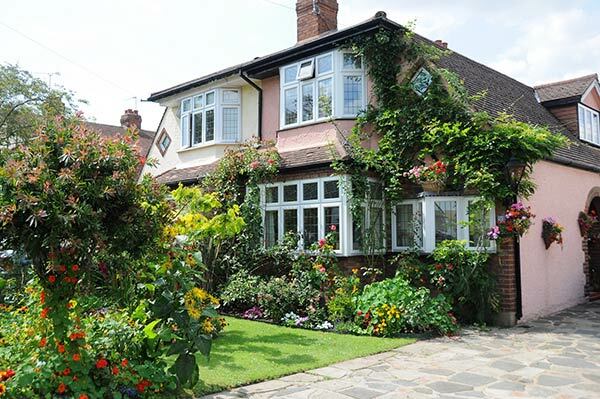 It was good to see new winners of all the private gardens sections with top marks going to 26 Heath Drive which exhibited an exhuberant display of both colour and planting. In the Hard standing with Planting section it was disappointing to note on the tour of the village, the poor standard of maintenance of some gardens where the original planting, presumably by landscaping contractors, had received little or no subsequent attention. 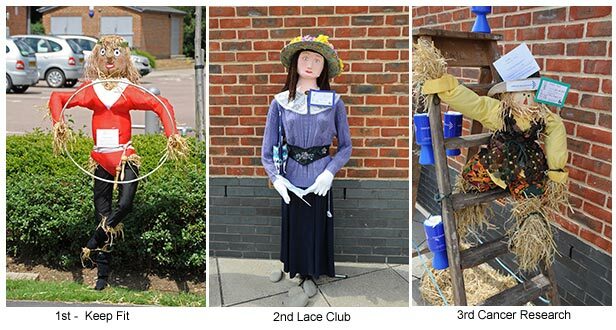 The Commercial displays were very few this year, previous vandalism having discouraged some shop owners from any displays and The Bull was the only significant attraction, the Queen Victoria refurbishment being completed on the weekend of judging. Cllrs. Hannibal and Purkiss attended the Rural Community Council of Essex AGM on Thursday 9th July as representatives of the Parish Council. 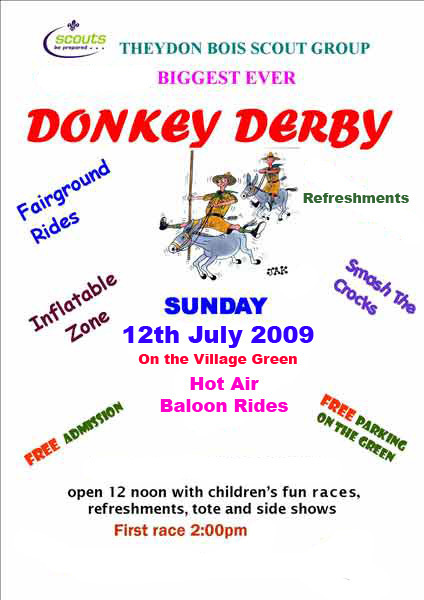 The Calor Essex Best Kept Village Competition 2009 where Theydon Bois won a Merit (Third Prize) in Class II The Whitmore Trophy for villages with a population of over 2000 but less than 5000. Our class was won by Wickham Bishops with Kelvedon runners up this year. Great Bardfield was overall winner. 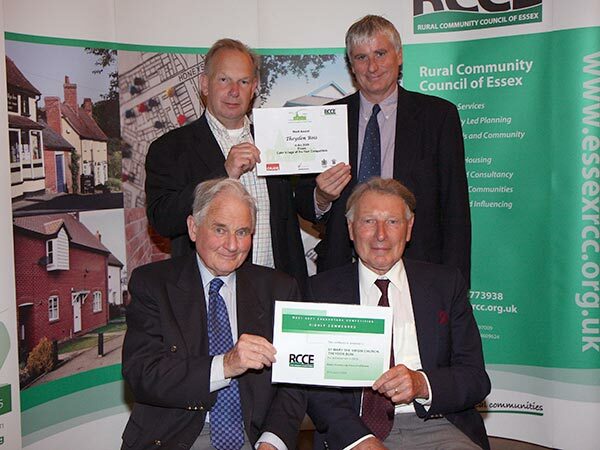 The Best Kept Churchyard Competition where St Mary’s Churchyard won a Highly Commended Award and residents Geoff Hooper and Ron Compton attended to collect the Award given to St Marys. Cllr Purkiss has arranged for our Merit Certificate to be framed and we will putting it up at the Village Hall. We also are arranging for hardcopy print of the photograph as it is a nice record of the event. 3rd August 2009 Bell Common Tunnel Refurbishment:As you are probably aware, Costain in connection with the Highways agency is carrying out works on the Bell Common Tunnel. These refurbishment works are progressing well and they are ahead of programme. In April 2009 the traffic management phase was changed to contra flow in the east bound bore while work was carried out in the west bound bore. For safety during the contra flow arrangement within a tunnel, the temporary speed of 40mph was introduced. The works in the westbound bore is nearing completion and at the beginning of August they will be moving the traffic over into contra flow with the five lanes of traffic in the westbound bore with one lane in the eastbound bore. In order to prepare for this we will start enabling work for the change in mid-July. They will now be commencing the switchover on Wednesday evening 5th August 2009, and will be competed and in operation early Saturday 8th August 2009. The new traffic management layout will be similar to the current one and the speed limit will continue to be 40 mph. Costain Limited apologises for any possible inconvenience caused by the works. They will continue to ensure that they do all that they can to minimise the impact of our works on the local community including endeavouring to complete these works as quickly and quietly as possible. If you require any further information or need to contact them, please leave a message on 08456-037-985 or e-mail Ann Gout The Public Relations Manager: BCTinfo@costain.com and one of their team will contact you. “A letter is being delivered to every household in the District outlining the new arrangements which will come into effect in September. An article in the summer edition of the Forester gives more information and the Council’s website will also provide a direct link to information. When the new containers are delivered during August a full information pack will be included. The majority of households will receive a second wheelie bin with a green lid and a kitchen caddy but for those properties where this is completely impractical kerbside caddies will be available for food waste only. 14th July 2009 Theydon Security Still Very Much in Business: In our earlier news item of 19th May below and the April 'Month in Theydon' reports (both now corrected) we appeared to suggest that Theydon Security was no longer in business 'ceased trading' rather than just no longer trading from the Forest Drive premises. Theydon Security is still very much in business and continue to provide the Village CCTV system and a full range of security services to all commercial and residential customers. We sincerely apologise to Tim Penegar and Theydon Security for any embarrassment or misunderstanding this may have caused. The Parish Council is keen to meet with our elderly residents to find out how we can help make a positive contribution to village life. An initial meeting with refreshments provided will take place on 24th July from 3pm to 5.00pm. All our elderly and less mobile residents are invited, and we look forward to hearing their views of how we might be able to help in future. To book a place and to let us know if you need transport to the venue please call the Parish Office on 01992 813442. We will be inviting a representative from Voluntary Action Epping Forest (VAEF) to give a short talk on the services they offer. VAEF is an umbrella organisation that provides advice, information and support services to voluntary and community organisations. They provide many services, which you may not be aware of. Monday 8th June 2009 saw the official launch of Ask SAL (the adult safeguarding helpline for Essex) at the Weston Community Homes stadium in Colchester. The launch was part of the SET safeguarding conference, a whole day event with in excess of 300 people present. The helpline is the result of a unique partnership between Southend, Essex and Thurrock Safeguarding Adults Boards and two leading national voluntary sector organisations: Action on Elder Abuse and Voice UK. The helpline provides a service for anyone concerned about an adult at risk of abuse, equivalent to that provided for children through Childline. Do you know an adult who is being treated badly, taken advantage of, or injured? For more information on the helpline and,access to promotional material such as leaflets and posters as well as a short informational video, visit: http://asksal.org.uk. For access to hard copies of leaflets and posters or other material in alternative formats email ESAB@essex.gov.uk or call (01245) 506642. TBVFC won a 4 village football tournament in Orenhofen in Germany in June after 2 wins and a draw. 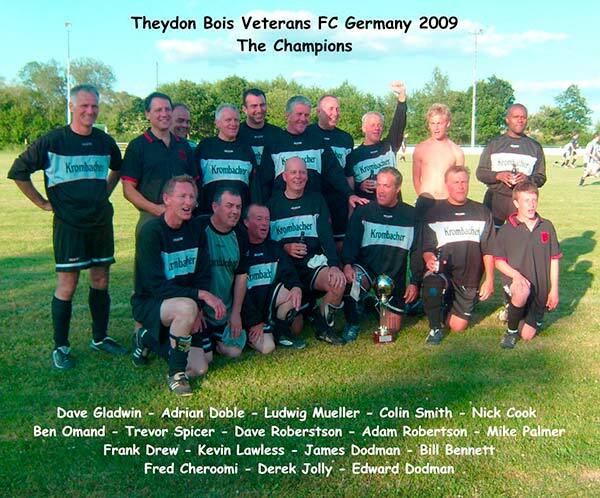 It was a great competition with some hard fought games so TBVFC are pleased to be bring the cup back to Theydon. They wish to thank all their friends in Orenhofen for their hospitality. 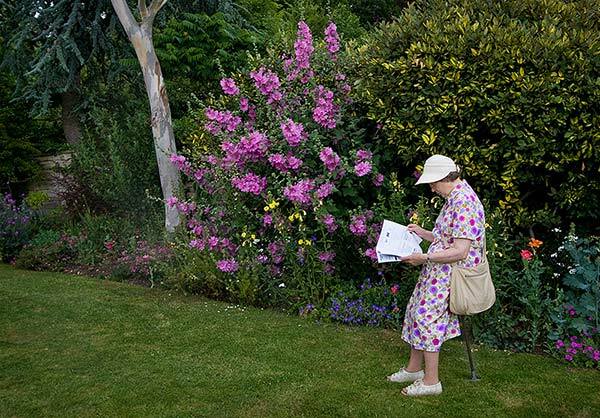 "Blooming Marvelous" was one visitors comment on this years Open Gardens Day. The rain held off and for the most part the day was sunny, but perhaps a little two warm as some visitors were wilting a bit more visibly than the flowers. Many gardeners supplied various liquid refreshments for their visitors and in one garden you could even enjoy a Pimm's while listening to a jazz band! Numbers attending this years event were very high and all the volunteers working hard in the heat are to be congratulated for making it such a success. A further report will be coming soon when we have more detail on the numbers attending and money raised.